Miss Universe Australia, Tegan Martin, placed in the Top 10 at the Miss Universe 2014 pageant, held recently in the USA at Florida’s International University in Doral. Tegan’s determination paid off after entering the Miss Universe Australia pageant for the third year, when she took out the crown in Melbourne on 6 June 2014, going on to represent Australia at the international competition. A Nutrition student from Newcastle, New South Wales, 22 year old Tegan, hopes one day to use the power of her nutritional medicine, health and wellbeing knowledge to shed some light on the issue of mental healthy in our youth. Contestants representing 88 countries competed in three categories: swimwear, eveningwear and interview. The 63rd Miss Universe pageant saw Miss Colombia, Paulina Vega Deippa crowned the 2014 Miss Universe title holder. Miss Universe Australia National Director, Deborah Miller said “We are incredibly proud of Tegan’s placement in the top 10 and excited for her to come home to Australia as we search for the 2015 title holder”. “THE WINSLOW BOY” – GUILTY? The Genesian Theatre Company has selected another excellent and enjoyable play to kick off the year. 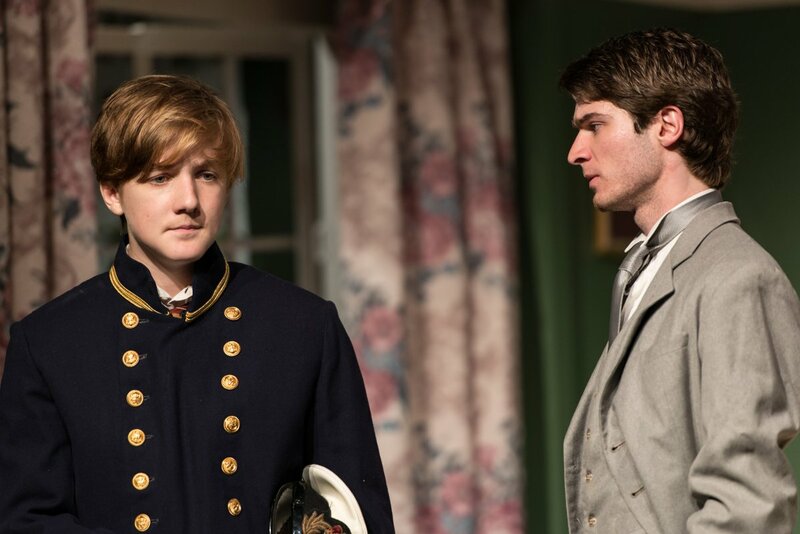 “The Winslow Boy” will have you enthralled from start to finish, as you watch the drama unfold in the Winslow’s drawing room. 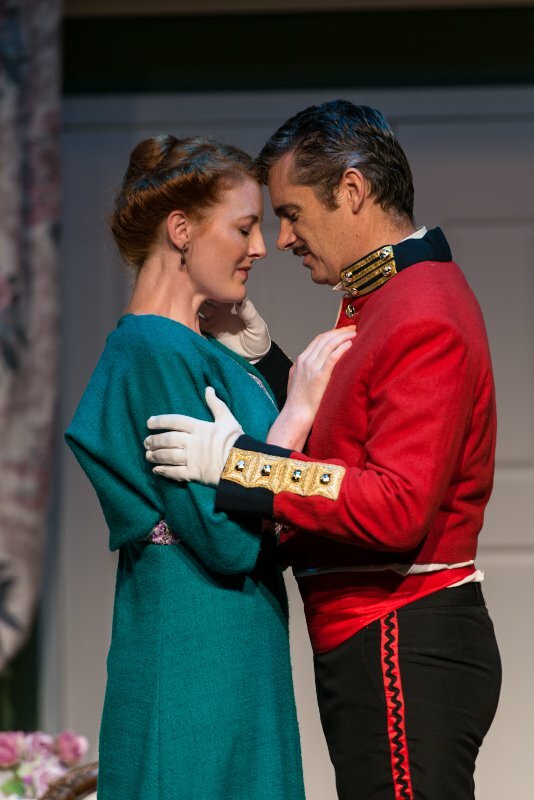 Following its recent Broadway and West End revivals, Terence Rattigan’s gripping drama “The Winslow Boy”, is now delighting audiences in Sydney at the Genesian Theatre in Kent Street. The play arises out of the celebrated trial in 1910 of George Archer-Shee, a 13 year old cadet at Osborne Naval College, accused of theft. Set in 1911 as England fears a world war, striking workers and suffragettes agitating for the vote, “The Winslow Boy”, tells the story of Arthur Winslow’s battle to save his son’s honour. After learning that the Royal Naval College has expelled his son Ronnie for stealing a five shilling postal order, Winslow risks his fortune, his health and his family’s tranquility when he seeks Parliament’s permission to sue the Crown. Directed by Nanette Frew and starring Matthew Balkus as Ronnie Winslow, David Stewart-Hunter as Arthur Winslow and Roger Gimblett as Sir Robert Morton. The excellent cast brings this tale from another era to life, making for a wonderful evening of theatre. Playing until 14 February on Friday and Saturday nights at 8 p.m. with a Sunday matinee at 4.30 p.m.
Operating for 70 years, the Genesians is Sydney’s most professional non-professional theatre, boasting among its alumni the likes of Bryan Brown, Baz Lurhman and John Bell. Sydney in Summer has become famous as one of the best places to see opera performed, both at the iconic Sydney Opera House and outdoors, under the stars. Opera in the Domain is now a Summer tradition after the first opera was presented in 2000. Thousands of opera lovers are attracted to this free event each January, converging on the Sydney Domain, complete with their picnic baskets, rugs and chairs to claim a spot on the grass, with many arriving early morning to claim a prime position close to the stage, to hear the stars of Opera Australia perform with the backing of a full orchestra. Many popular operas, such as Carmen, Turandot and Madama Butterfly, have been performed over the years. This year’s event on Saturday, 24 January at 8 p.m. will present a programme of famous opera arias, including Bizet’s Toreador Song from Carmen, Puccini’s Nessun Dorma from Turandot, Verdi’s Sempre Libera from La Traviata and Rossini’s William Tell Overture. The Australian Opera Ballet Orchestra will be conducted by Brian Castles-Onion, with performances by Natalie Aroyan, Diego Torre, Lorina Gore, Anna Dowsley, Shane Lowrencev and Andrew Jones. Those arriving early can join in the fun of “Opera Dress-Ups”, where they will have the chance to try on costumes from Opera Australia’s vast costume collection and be photographed on the red carpet. Opera Australia’s Sydney Summer Season at the Sydney Opera House has a programme of favourites, including three of Puccini’s best loved operas, “La Bohème” with its cabaret styled sets, glittering costumes, love and tragedy, “Tosca”, where Director John Bell has transformed the scene to 1943 Rome and the invading German armies and “Madama Butterfly”, one of the world’s great love stories, complete with a stunning set. 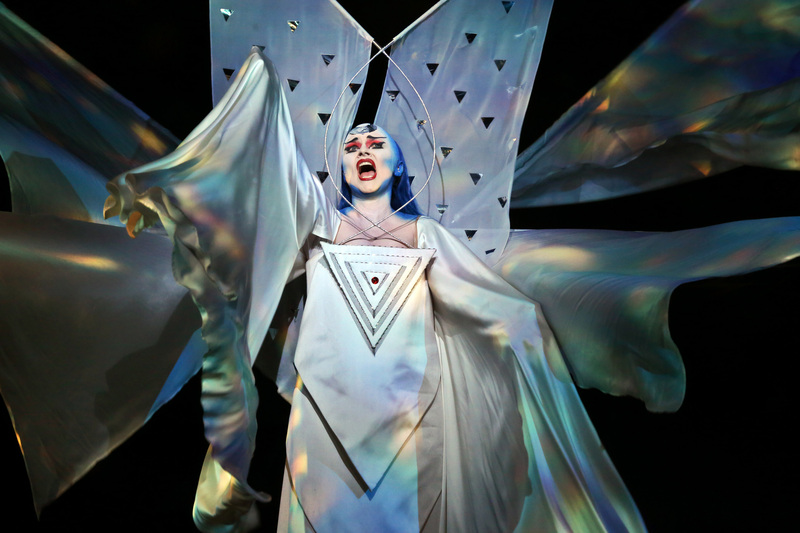 Mozart’s “The Magic Flute” is wowing audiences with giant puppets and spectacular costumes. Gounod’s “Faust”, features a man desperate for youth and hungry for passion and his deal with the underworld. 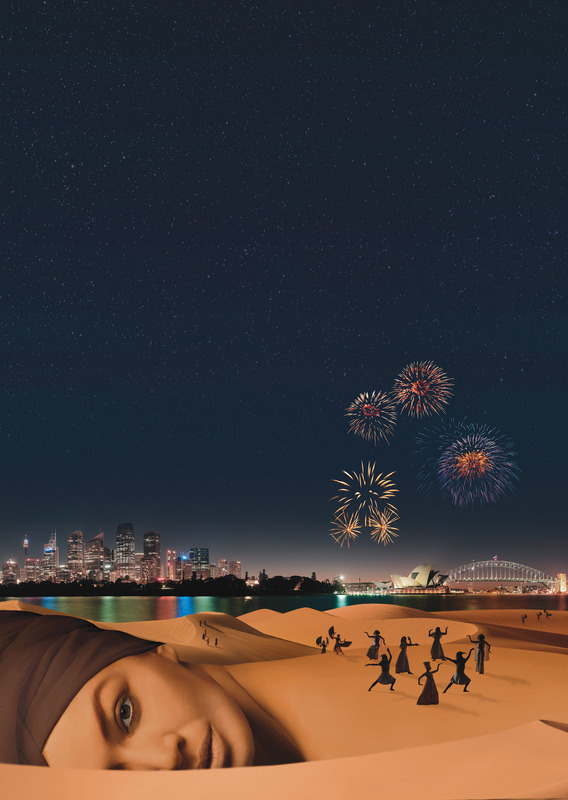 Plans are well underway for another great outdoor opera event when Handa Opera on Sydney Harbour presents Verdi’s masterpiece “Aida” from 27 March to 26 April 2015. It’s a monumental undertaking, with a team of more than 700 people involved in the project before a single note is heard over the harbour. Director Gale Edwards believes the story of “Aida” is a powerful and political one. 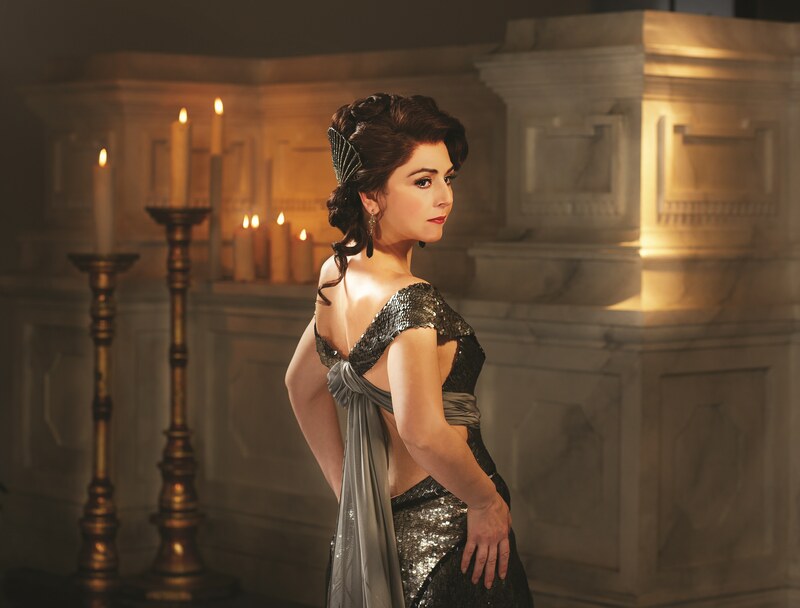 “At the centre of the piece is a love affair but it is love in a world of war, a world with no place for love.” Edwards has not confined “Aida” to a particular period, wanting Designer Mark Thompson to use imagery from classical Egypt and modern Egypt, explaining “I wanted one person to have a rifle or a machine gun and another to ride a chariot and for those images to sit comfortably together. I’m not doing a museum piece. Nor am I doing a contemporary take on Aida, in miniskirts”. 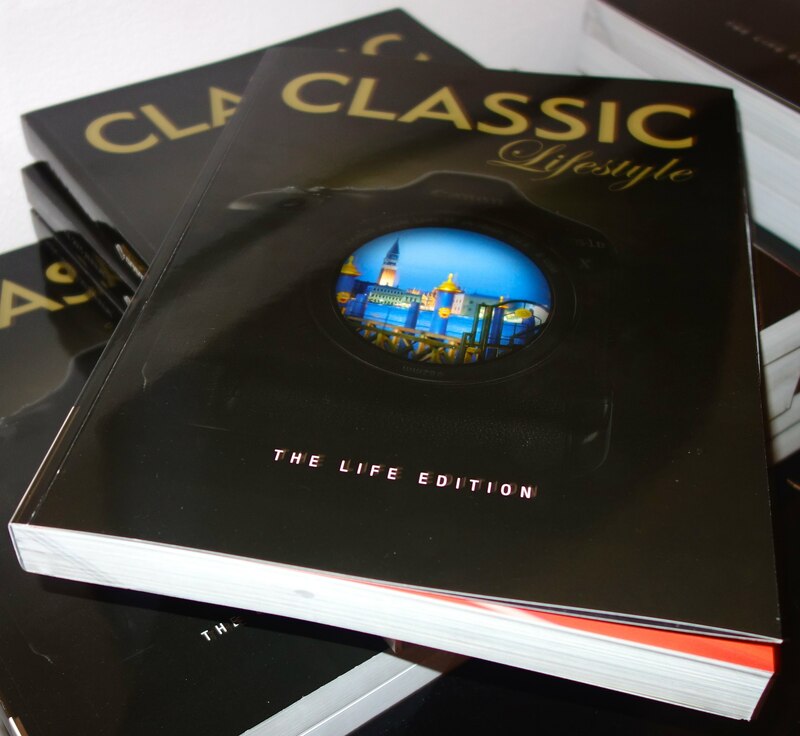 Classic Lifestyle Magazine recently held an exclusive launch of the 2015 Classic Lifestyle Life Edition at Sun Studios in Alexandria, where guests were also able to admire the photographic images festooning the walls, while enjoying the wonderful wines and canapés served at the event. This glossy magazine, more like a coffee table volume, is full of information and beautiful photographs, featuring an array of articles on destinations as diverse as The Maldives, Venice, Milan, Sausalito, Adelaide and Dubai. Other highlights include reports on a return voyage from Monaco on board the 16 sail Clipper, “Star Flyer” around the Mediterranean, plus a journey on The Orient Express from London to Venice. Publisher, Phil Harte and his wife Danielle, document their take on Round the World in Eighty Days, commencing in Dubai, visiting Milan, Los Angeles, Melbourne, Delhi, Alaska and more. Luxurious hotels are featured including The Cipriani Hotel in Venice and The Four Seasons Hotel in San Francisco, as well as restaurant reviews of Friday Brunch at Traiteur in the Park Hyatt Dubai and Cicchetti in Byron Bay. Amadio Wines in the Adelaide Hills and St Francis Winery & Vineyard in Santa Rosa California are just two of the many articles on food and wine reported on in this luxury lifestyle magazine. 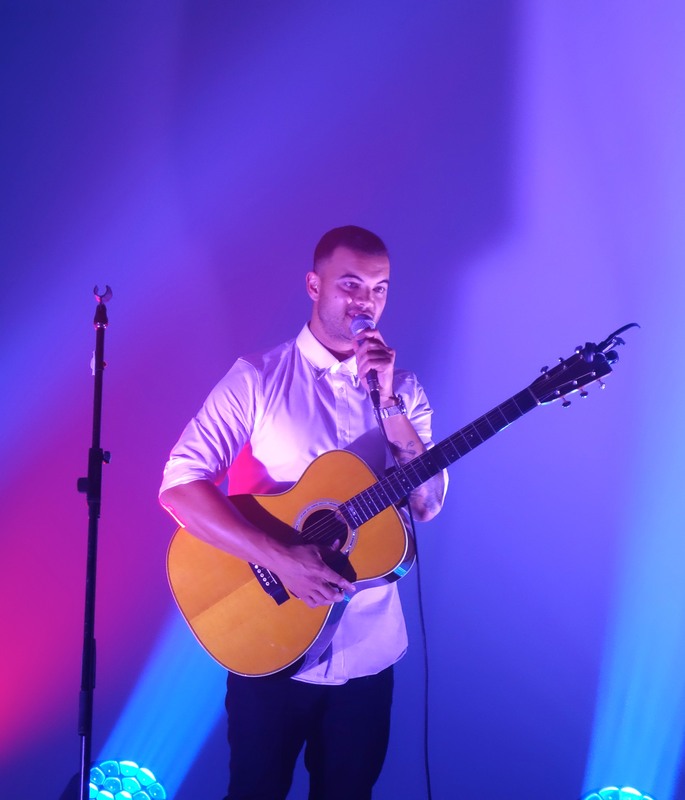 The best was then to come, when guests were ushered into another studio to witness the Global Debut Album Launch of Robbie X, followed by the highlight of the evening, a concert by Guy Sebastian, performing many of his famous songs, to the delight of the audience. 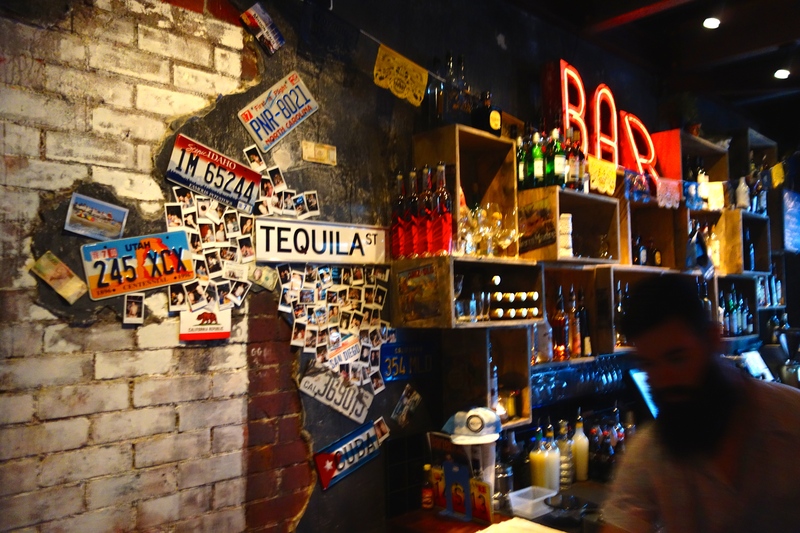 Birthdays are always fun to celebrate, so when SoCal, the southern Californian inspired restaurant & bar at Neutral Bay turned one recently, guests celebrated this first birthday in style at an exclusive birthday bash. SoCal’s large outdoor terrace was the perfect place to be during the balmy summer evening, while enjoying one of their classic cocktails, a Margarita of Reposado Tequila, Cointreau, lime, a dash of sugar & a half salt rim. I also had to try the Garden Party made from blueberry infused Tanqueray gin, elderflower liqueur, spiced blueberry syrup, rhubarb bitters & basil. It was hard to decide which one I liked the best, but I had to give the Margarita my vote. Head Chef Zac Smart provided a selection of dishes especially for the event, which included lamb, ricotta & raisin empanada, grilled vegetable empanada, ceviche lettuce cups, sriracha chicken quesadillas, chicken & sopressada sliders, spiced eggplant tostadas, flank steak & chimichurri, southern fried chicken and slaw, and spiced vegetable cous cous. 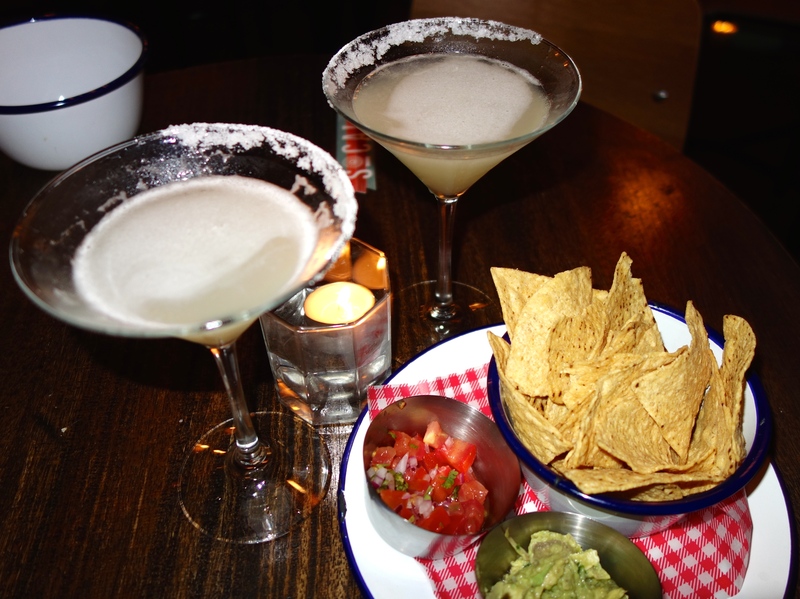 If you can’t make it to California, sipping a Margarita at SoCal is the next best thing. 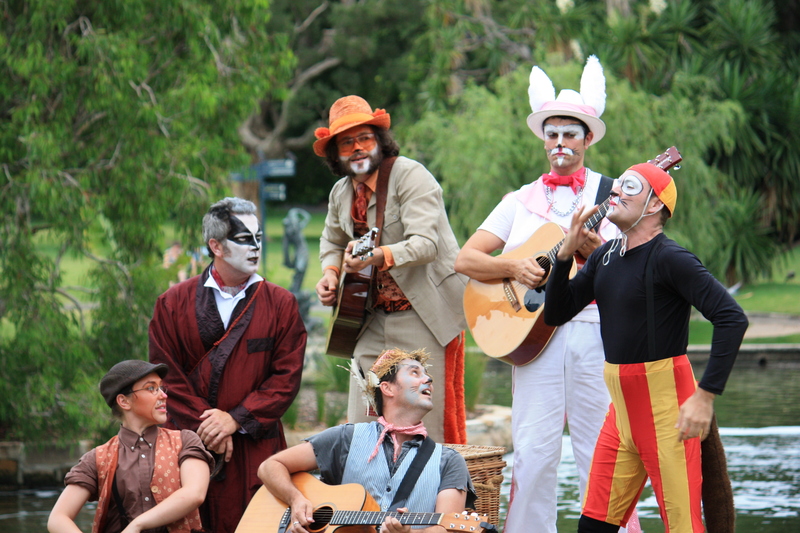 Carrying on its summer tradition of great family entertainment, “The Wind in the Willows” returns to the beautiful surrounds of the Royal Botanic Garden, Sydney, from 7 to 24 January 2015. Kenneth Grahame’s immortal story of life on the riverbank is a rollicking yet gentle adventure, starring the pompous, arrogant, vain, hilarious Toad, who is a favourite with children everywhere. Toad, along with his better-behaved friends, Ratty, Mole, Otter and Badger, as well as the rascally Weasel, have come to life every summer for the past 14 years providing enchanting and lively entertainment for all the family. This critically acclaimed outdoor theatre production delivers music, songs and laughs. There is fun for young and old as the Head Chief Rabbit transforms the audience into rabbits with a waggle of the ears and a wiggle of the nose. The young ‘rabbits’ are encouraged to get involved in the action, and are given every opportunity to scream out loud, sing along and become part of the adventure. With laughs and surprises for children and adults, this is interactive theatre at its best. So why not pack a picnic and head on down to the riverbank, to see either the 11am or 6pm performance. You are currently browsing the SANDRATBLOG.COM blog archives for January, 2015.